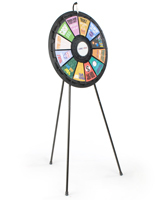 These tabletop prize wheels take up a small amount of countertop space and use a powder-coated steel tripod stand with rubber feet. 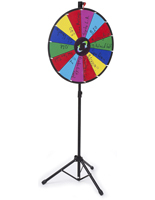 Typically, spinning games are used to increase employee morale or to draw attention to a booth during trade shows; however this small unit works well in a variety of other locations. 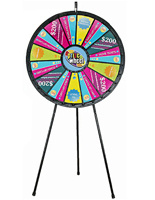 Our tabletop prize wheels are easy to customize with our free downloadable templates. 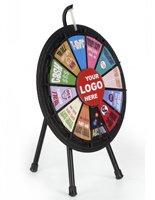 The magnetic center plate can also be personalized with a company logo or attention-grabbing catchphrase, by printing artwork onto adhesive paper. 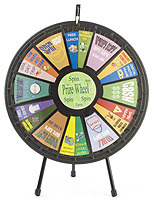 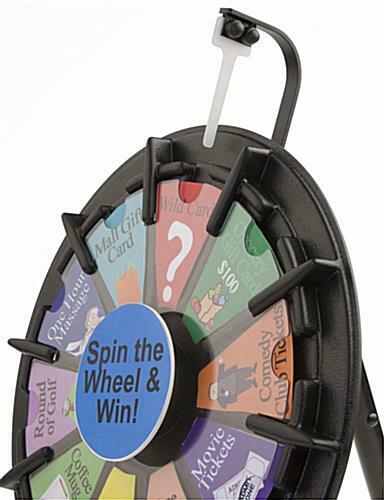 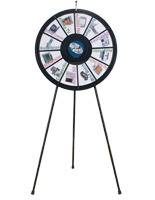 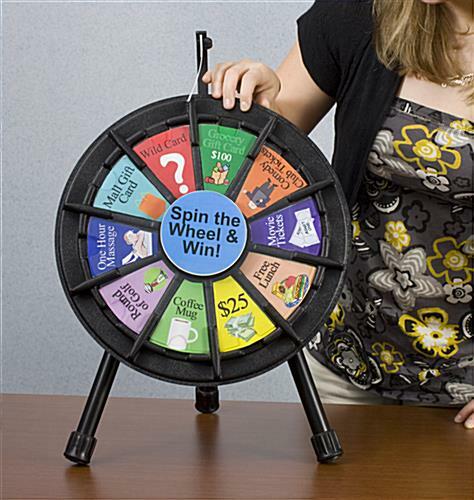 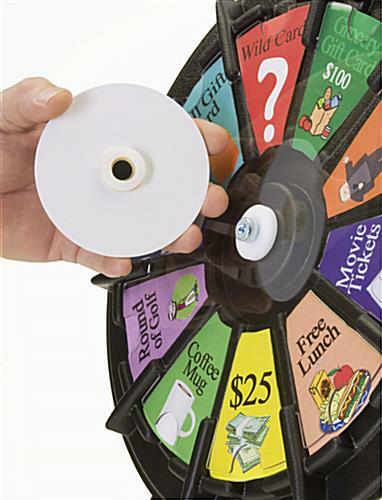 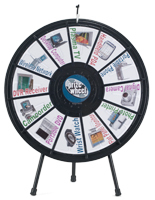 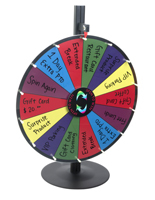 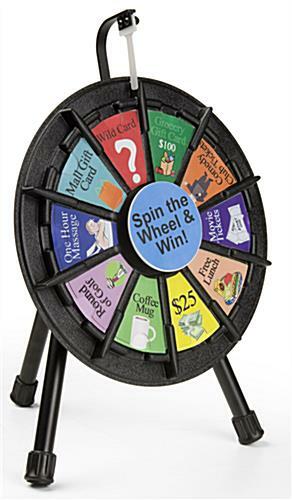 These tabletop prize wheels are fun tools for incorporating entertainment into business environments. 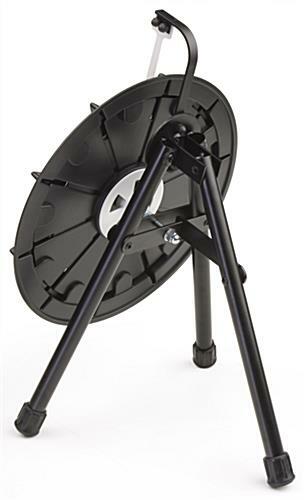 14.0" x 20.5" x 20.0"